Julie Dyas Goldberg joined the firm in 2004 and is Of Counsel to Halperin Battaglia Benzija, LLP. Ms. Goldberg’s primary practice area is representing debtors and debtors-in-possession throughout the Chapter 11 process, though she is also thoroughly versed in representations of creditors’ committees as well as individual creditors whose businesses intersect with insolvencies. 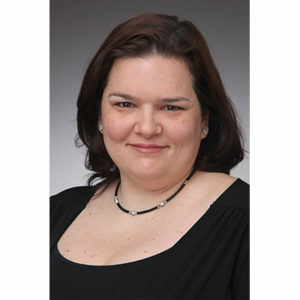 Ms. Goldberg has substantial experience in the commodities, retail/manufacturing, real estate and airline industries, and has been a part of legal teams in the NSB Advisors, Dreier LLP, The Farber Center, Tana Seybert, US Airways (2002 and 2004), Geneva Steel, Kaiser Aluminum, Aztec Metal & Maintenance Corp., Room Interior Products USA, Inc., R.F. Cunningham & Co., Inc., Lodgian, Oakwood Homes Corporation, and other bankruptcies. Prior to her current tenure with HBB, Ms. Goldberg was an associate in the Bankruptcy and Creditor’s Rights practice group at Morrison & Foerster LLP, and began her career at Curtis, Mallet-Prevost, Colt & Mosle LLP. At those firms, she gained substantial expertise in Chapter 15 actions, real estate matters, ERISA topics, general secured transactions in the context of Chapter 11 cases, and as asset sales, generally representing the non-debtor purchaser. Ms. Goldberg earned her J.D. from The University of Texas, in 2002, where she contemporaneously completed a Ph.D. in Linguistics. Her doctoral research is titled “Linguistic Features of Lying Under Oath: An Experimental Study of English and French.” Her research cross-linguistically compared whether targeted verbal indicators of lying influence the impressions of witness veracity by a trier of fact. Dr. Goldberg also holds a M.A. in French Literature from The University of Alabama and a B.A. in French from Birmingham-Southern College. She is fluent in English and French and continues her study of all Romance Languages.